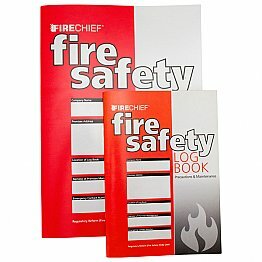 Regulations require your fire risk assessment and fire log book be kept on premise at all times. 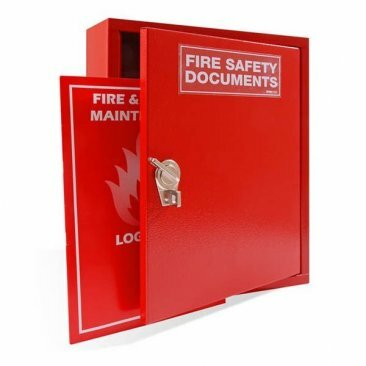 This fire document cabinet is an excellent way to be sure you’re always in compliance. Manufactured by Homesaver of metal, and powder-coated in bright red for high visibility. Imprinted with “fire safety documents” in bold text. 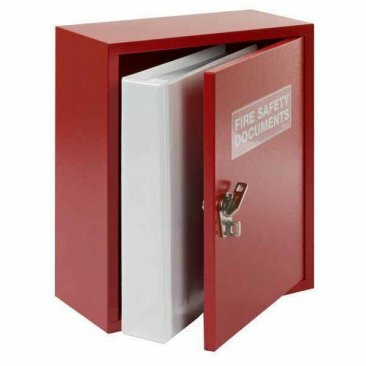 Will hold a standard A4 size binder with plenty of room to spare for additional documents. Your choice of two security options. The first has a tamper-evident door latch and may be fitted with a padlock if desired. The other has an integrated lock and includes two keys. Dimensions of the document cabinet are 370mm high 300mm wide and 140mm deep.